With pedagogical elements to enhance and reinforce learning opportunities, this book explores what foods involve the optimum nutritional value for dietary needs, including specific dietary requirements and how foods are produced. It also considers alternative production methods, along with the impact of preparation on both the nutritional value of a food and its consumer acceptability. Other discussions focus on the basics of proteins, carbohydrates, and lipids, issues of diet and disease such as weight management, and food production and preparation. Laboratory-type, in-class activities are presented using limited materials and applications of complex concepts in real-life situations. 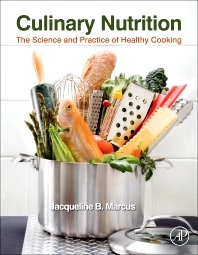 This book will be a valuable resource for undergraduate students in culinary nutrition, nutrition science, food science and nutrition, and culinary arts courses. It will also appeal to professional chefs and food scientists as well as research chefs in product development. 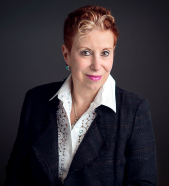 Jacqueline B. Marcus, MS, RDN, LDN, CNS, FADA, FAND is the president and owner of Jacqueline B. Marcus & Associates, a multiservice food and nutrition consulting firm in Highland Park, Illinois, United States. She holds a bachelor of science degree in family, consumer and nutrition sciences and a master of science degree in food and nutrition from Northern Illinois University and is the recipient of the Medallion Award from the Academy of Nutrition and Dietetics. I found all the information I ever wanted to know. Incredibe resources to help my patients.